Welcome to this super well maintained home with many upgraded features including hardwood & ceramic tile flooring, lighting & plumbing fixtures, granite countertops and “Silgranit” sink in kitchen, and tile backsplashes throughout. This 1619 sq ft home features a main floor office/den, powder room, spacious kitchen with walk in pantry and countertop with island seating, separate dining area as well as good sized family room with gas fireplace. 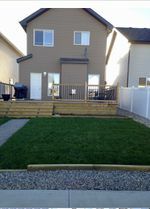 The 2nd level features a separate laundry room with cabinets and counter space, 3 bedrooms including master with walk in closet and ensuite and additional full bath. All bedrooms have upgraded black-out cellular shades. 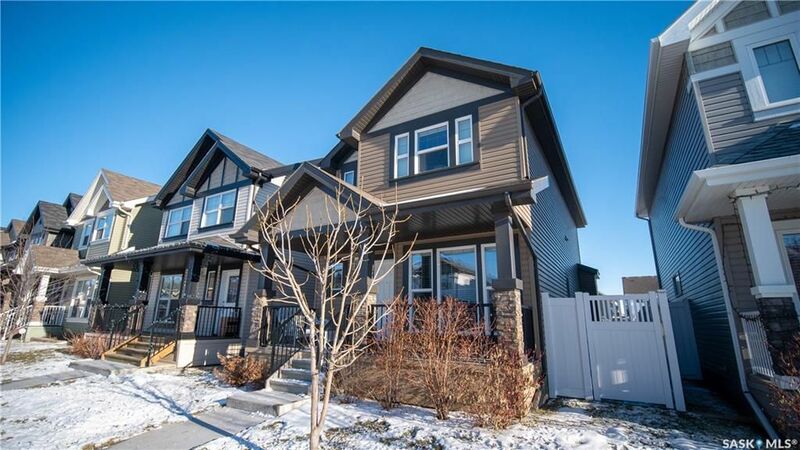 This floor plan was customized to add extra sq footage and is situated on a larger than average lot in The Greens, professionally landscaped with double detached garage & large custom deck with natural gas bbq hookup. 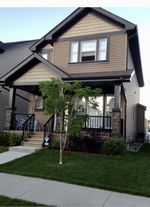 Located on a quiet street close all of the great new neighbourhood services and school! Contact sales agents for more details and to schedule your viewing. REALTY ONE REAL ESTATE SERVICES INC.